Thank you for showing an interest in booking with Katherine Hancock Photography. Please ensure you read the terms and conditions prior to paying the deposit for your session. By booking with Katherine Hancock Photography you agree to the following terms and conditions. •The session fee/deposit is non refundable and payable at the time of booking. If you have to postpone your session please contact Katherine Hancock Photography as soon as you can to ensure a new date and time can be arranged. If you decide to cancel your session you will not be entitled to your session fee/deposit back. • Session dates and times are not secured until a deposit has been paid. • The final balance is due before or on the day of your photo shoot. You can pay by bank transfer, Paypal, cash or cheque. • If for any reason Katherine Hancock Photography have to cancel your photo shoot you will receive a full refund of your deposit. • If you purchase a USB or DVD of images from Katherine Hancock Photography, they will be high resolution images without watermarks. The images can be printed and reproduced for personal use only. You are not entitled to use the images for commercial gain. • Your photos will be professionally edited and supplied to you within approx. 3 weeks of ordering. Katherine Hancock Photography cannot be held responsible for any delays. If you need your images by a certain date please inform Katherine Hancock Photography at the time of your photo shoot. • All images are professionally edited, this includes removing minor blemishes such as scratches and bruises. For extensive retouching there may be an additional fee of £20 per image, please contact Katherine Hancock Photography to discuss this. • Katherine Hancock Photography is not obligated to provide the client with any images that are not already presented to them in their gallery. During the editing stage the images are narrowed down to a gallery of approx 30 images. Those that are not selected are deleted. • When printing your photos please note Katherine Hancock Photography cannot be held responsible for poor quality prints from high street or online printers. Katherine Hancock Photography can provide you with professional prints, please contact me to discuss the price of these. • Due to the nature of individual print sizes crops may vary from the images on your USB. If you would like advice on print sizes and cropping please contact me. • It is your responsibility to ensure you have made a backup of the images from your USB. Katherine Hancock Photography cannot be held responsible and are not under any obligation to provide the images again if your USB becomes corrupt, lost or damaged. 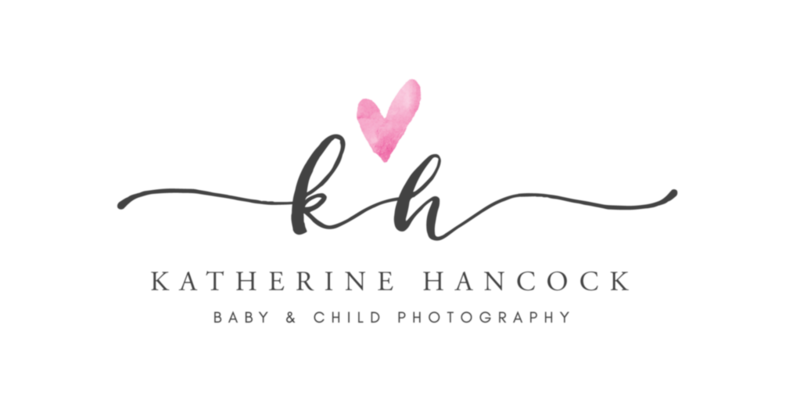 Katherine Hancock Photography will endeavour to keep your files for 3 months.
. • During busy times such as Christmas there may be additional waiting time on orders. You will be advised at the time of your photo shoot and given an approximate delivery date. • Katherine Hancock Photography shall be entitled to use its judgement regarding the style and artistic input in the production of pictures. This includes but is not limited to locations, poses, props, setups and number of images taken. Due to the the willingness of subjects it may not be possible to capture all the pictures requested, or images to the clients full expectations. In the event of un co-operative children at a session of any kind, for any reason, Katherine Hancock Photography may not be able to capture any, or all the images the Client may have requested or expected. The Client is responsible for all children at all sessions. • The Client may not alter or add to or manipulate a picture by means of computer or any other technique including instagram filters or reproduce a picture in whole or in part as an element within, or as a montage with, another picture. • All images are copyrighted to Katherine Hancock Photography, even those you have purchased. Once purchased you have permission to print the photos. You are also permitted to use the photos on social media and to share with family and friends. They must not be used for commercial gain unless permission has been agreed. • Due to the custom nature of photograph products and downloadable images no refunds will be issued. • Katherine Hancock Photography has professional photography insurance including public liability. Safety is the upmost importance during all sessions. Katherine Hancock Photography have the right to refuse to attempt any pose or to use props they feel may be unsafe or will put the baby/child at risk of accident or injury. • Whilst every care is taken at every stage of the photographic process, Katherine Hancock Photography shall not be liable to the client for any failure, in whole or in part, to fulfil his obligations of a booking where failure arises as a result of an event or circumstances beyond their control, which may include (but are not limited to) equipment failure, inclement weather, illness or injury. Katherine Hancock Photography can accept no responsibility for any losses incurred as a result of any such failure beyond a full refund of the original photo shoot fee. • Any personal information given to Katherine Hancock Photography will only be used for contact between the photographer and the client. Your details will never be passed on to other companies without your consent. If any of these Terms and Conditions is held by any court of competent authority to be unlawful, invalid or unenforceable, in whole or in part, this will not affect the validity of the remaining Terms and Conditions which will continue to be valid and enforceable to the fullest extent permitted by law. It is our passion to provide a superb service to all of our clients. In order to do so we must reserve the right to change our terms and conditions without notice at any time. The terms and conditions are in place to protect Katherine Hancock Photography and the client in a professional, legal booking agreement. By booking with Katherine Hancock Photography you agree to adhere to the terms and conditions.